Startling news: We get it right sometimes. Sports heroes win championships, companies rake in profits, doctors cure diseases, and churches catalyze epochal change. The Vineyard Christian Fellowship of Anaheim, CA, slugged the ball out of the park during the late 1970’s, ‘80’s, and ‘90’s. Carol Wimber shares the story in these video interviews. Her back-to-God approach speaks volumes to church leaders bent on human-based solutions involving postmodernism, emergent postmodernism and post-emergent postmodernism with a cherry on top. How about we try out God for a change? Remember God? The room’s invisible giant? The one about whom we talk as if He cannot hear us? I’ll fill in the gaps: John Wimber was a successful musician in the early 1960’s with a rocky marriage. He and Carol came to Christ under the wing of a Quaker church in Yorba Linda and their marriage smoothed. John left the musical world. Their church embraced Dispensationalism, a theology confining the so-called “gifts of the Holy Spirit” to the first century. Carol was adamant. She even preached a seven-point sermon on the danger of those nasty gifts: speaking in tongues, prophesy, healing, and others. It was all of the devil. 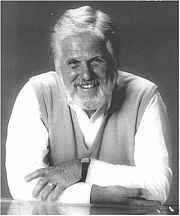 The ever-dynamic John Wimber became the pastor of that Quaker church and attendance climbed, but he burned out and signed on as a church growth consultant, traveling the globe and hopping from church growth conference to church growth conference and meeting Pentecostals and Charismatics in his speaking engagements. Those gift-wielding enthusiasts weren’t so bad after all. He also learned from New Testament scholar George Eldon Ladd, who taught that the Kingdom of God broke into the present with the arrival of Jesus: Believers operate in Christ’s dynamic reign. We’re meant to be Heaven’s citizens, tokens of Christ’s future rule. Healing, prophesy, tongues, and other works of the Spirit offer peaks into life after the Second Coming. She visited people and confessed to them. About twelve of the church’s leaders began meeting in October of 1976 for prayer and worship. Attendance soon multiplied. John began attending in January of 1977, when about 125 were jamming their house. They formally planted a church in May of that year. John saw the prevalence of Jesus’ healing ministry while preaching from Luke’s Gospel, so the church began praying for the sick. No one was healed for ten months. Some even got sicker. The death-like pall over this seemingly anti-healing ministry lifted when John prayed for a woman and – to his astonishment – she was instantly well. Others were healed. Church leaders developed a prayer style in which they gently cued off God’s activity. They learned to recognize what God was doing and went with God’s flow, never blaming the person for whom they prayed if healing did not come. Then there was Mother’s Day, 1981, when all Heaven broke loose and two-thirds of the congregation fell on the floor after a speaker prayed, “Holy Spirit, come!” Growth sky-rocketed. People would come in wheel chairs and walk out. Tongues, while encouraged, were not mandated. They eventually joined a group called the Vineyard Christian Fellowship, led by Ken Gulliksen, who yielded leadership to John. Vineyard churches spread across southern California, throughout the United States, into the United Kingdom and all over the world. But church planting was only one of the recipe’s spices. Carol Wimber recalled a vision for all – “I strongly sensed God’s desire for his bride, for the whole church: Protestant, Catholic, and Orthodox.” A larger Vineyard penumbra formed: a Vineyard beyond the Vineyard yearning for God’s presence and longing to row at the confluence of God’s three streams (sound, biblical teaching; experience in the Holy Spirit; outreach to the poor). Those streams converged in Anaheim and formed a powerful river. Some of us (including me) have tried to join the Vineyard several times. God throws walls up. Apparently, God wants me in his larger church. Maybe all Vineyard people — those formally in the fellowship and in the penumbra — should watch these interviews and remember our true moorings and purpose. We’re not merely about racking up the stats. We’re about the Holy Spirit.